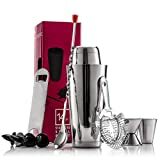 FineDine's professional grade cocktail shaker set is restaurant quality, yet perfect for the home bar! 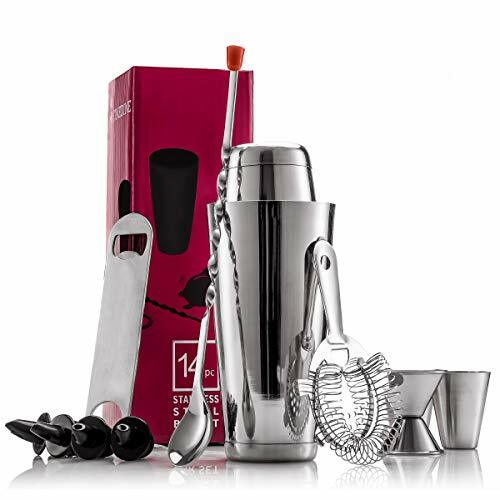 Our sleek cocktail shaker kit allows professional bartenders and aspiring mixologists alike to mix sangrias, martinis, margaritas, whiskey sours, and more! With easy hand wash and dishwasher care this professional bar essentials kit will be ready to use again and again! This set makes the perfect Christmas, holiday, wedding, birthday, and special event gift for your mom, dad, or any of your loved ones!